Highly intelligent and extremely well educated -- earning an M.A. at Stockholm's Royal Institute of Technology and a Fulbright Fellowship at M.I.T. 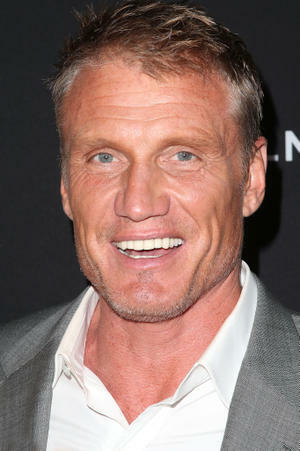 -- Dolph Lundgren is better known for his athletic achievements than his intellectual pursuits. An internationally recognized kick-boxing champion, the 6' 6", 250-pound Lundgren was working as a doorman at a trendy New York disco when his personally produced exercise video Maximum Potential caught the eye of movie producers. His 1984 cinematic debut was a bit part in the James Bond opus A View to a Kill, which co-starred Lundgren's then-lover Grace Jones. (Earlier reports that Lundgren appeared in 1970's The Out-of-Towners were really out of town.) His breakthrough film role was as Drago, the automaton-like Russian ring opponent of Sylvester Stallone in Rocky IV (1985). 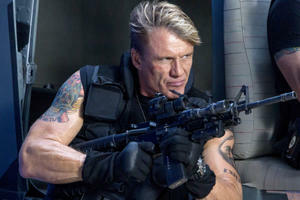 The content of Lundgren's subsequent films is implicit in their titles: Masters of the Universe (in which Lundgren played bulging-biceped cartoon character He-Man), Universal Soldier (sharing the screen with fellow bodybuilder Jean-Claude Van Damme), Red Scorpion, Showdown in Little Tokyo, Army of One, etc. When Lundgren showed up as a street preacher in the futuristic Johnny Mnemonic (1995), one got the feeling that he was not going to be advocating peace on earth for long. 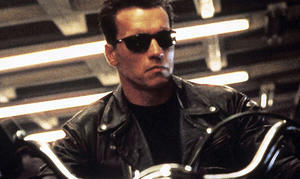 Quiz: How Well Do You Know Your Action Hero Quotes?